One of the poorest districts in the country, Crane School District struggled to find the financial means to bring technology to their students. Then everything changed. 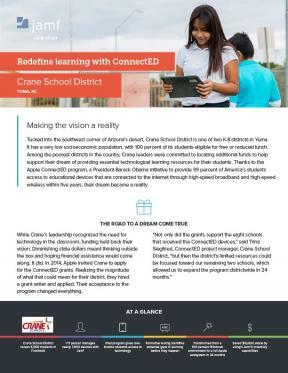 Through Apple ConnectED and Jamf Pro, Crane implemented a districtwide 1:1 iPad program. It allows the district to redefine learning while simultaneously making their students' dreams come true.